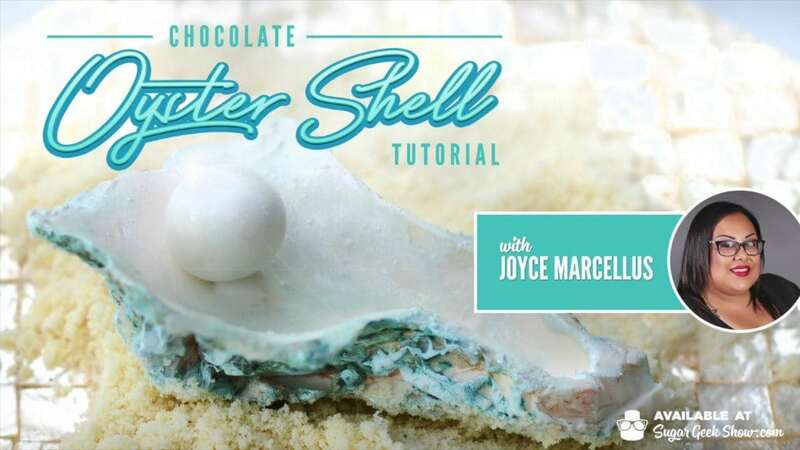 The queen of realistic food cakes, Joyce Marcellus of Toxic Sweets Shop, has graced us with this fabulous Chocolate Oyster Shell Tutorial that requires no special mold! Liz recently used this in the Beachy Wedding Cake Tutorial and it couldn’t be easier or more genius! 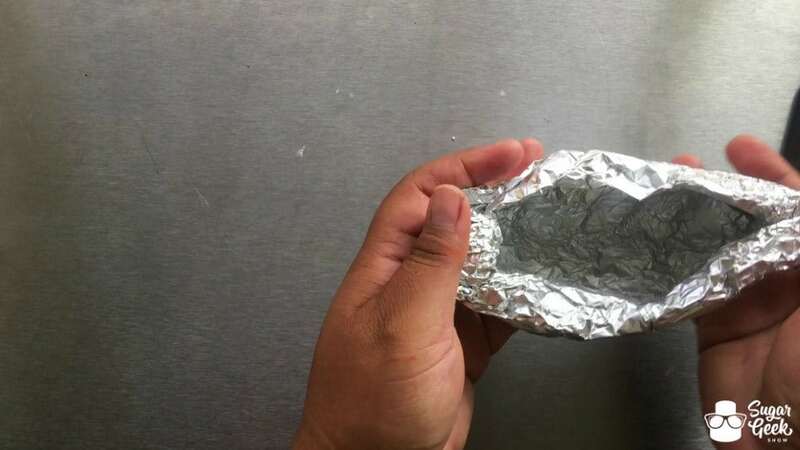 Take a large piece of foil and fold it twice, crumple it up, uncrumple it and spread a thin layer of shortening on it. 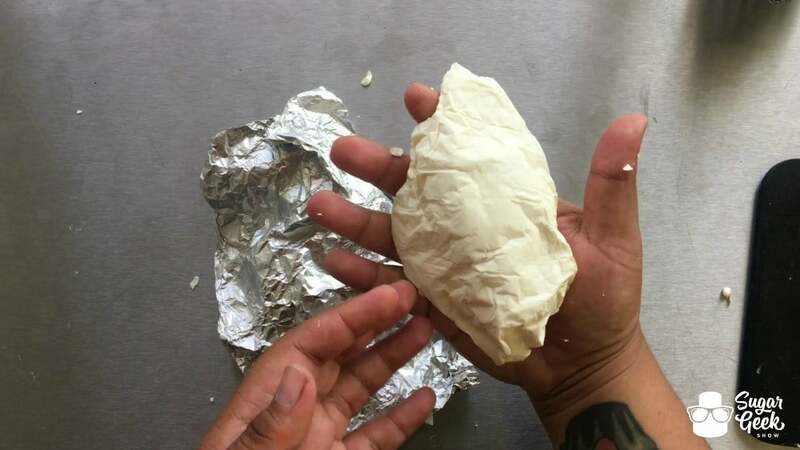 Then shape the foil into an oyster shell shape. 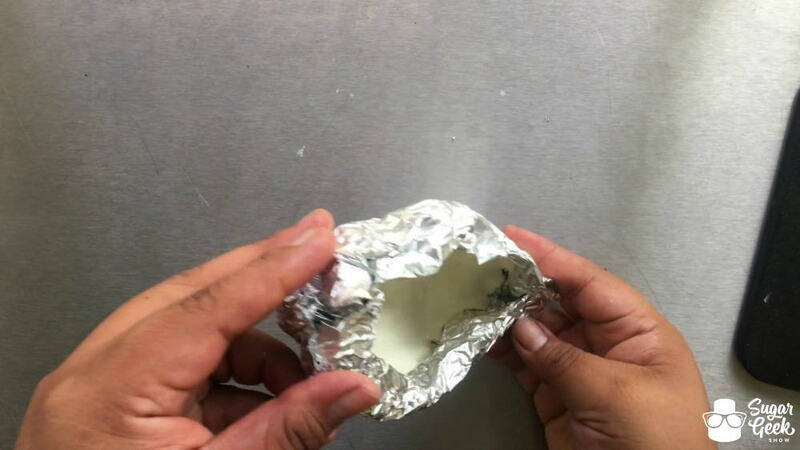 Put a little bit of melted chocolate or candy melts into the foil and coat the foil. You don’t want it to be too thick or too thin so try and gauge the amount according to the size of your shell. Place it in the freezer until firm. 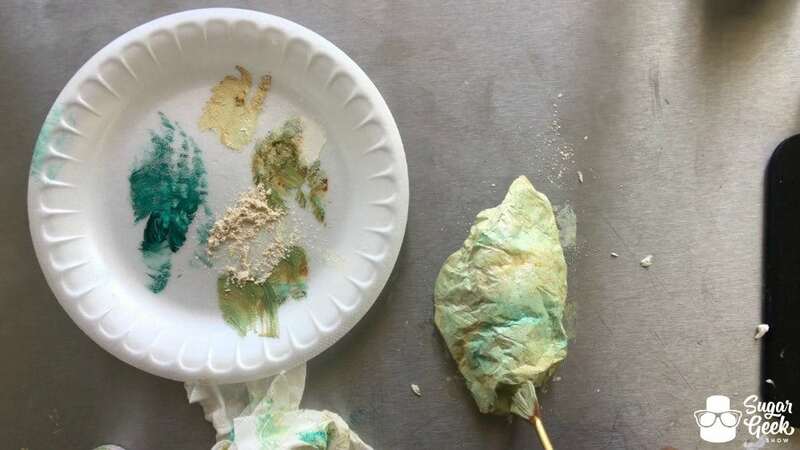 Once firm, you can remove the foil and you’re left with a beautifully textured shell! 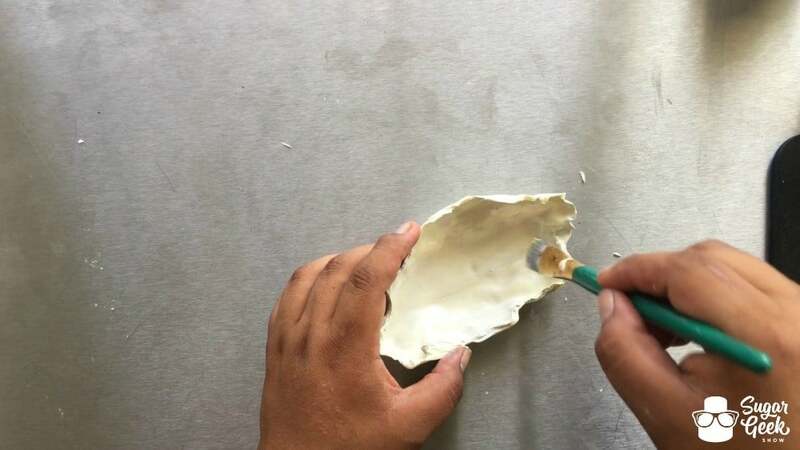 Paint the inside of the shell with some pearl and white color to give it that pretty sheen a real shell has. Paint the outside with blue, ivory and more pearl to complete the look! 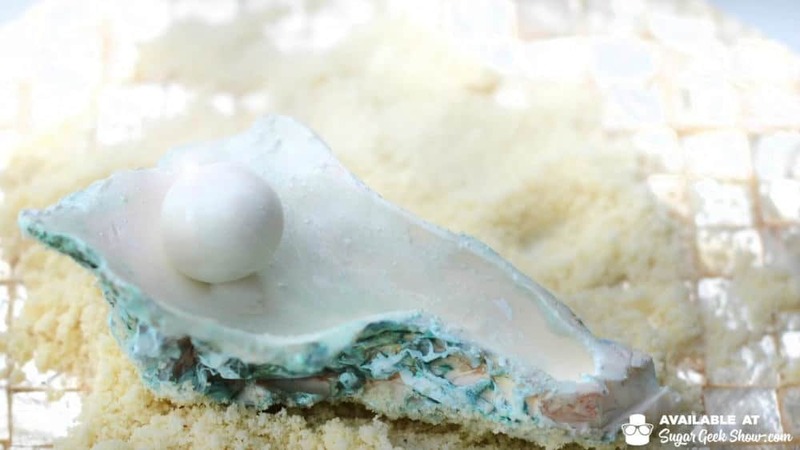 Then you’re left with this beautiful realistic oyster shell perfect for all sorts of cakes! 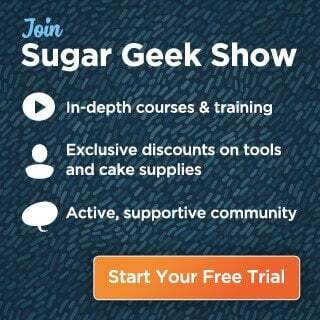 Check out the FREE Full Chocolate Oyster Shell Tutorial Video on the website to see the entire process! 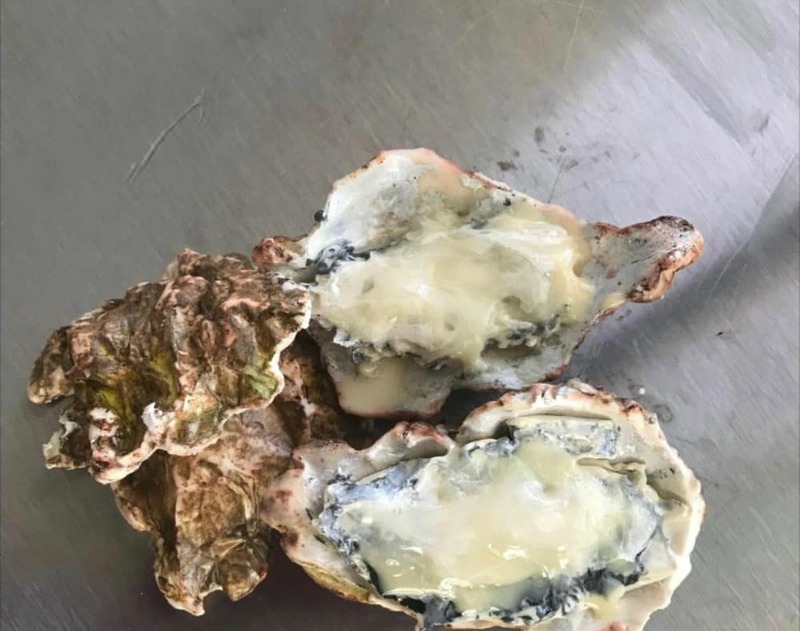 Be sure to check out Joyce’s YouTube Channel for her Chocolate Oyster Meat Tutorial to see how she creates the amazing insides you see here! We hope you enjoy this tutorial and get a chance to use it in your creations!